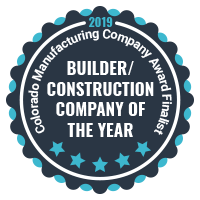 Designed and made in Colorado, we add value to homes by listening to our customers and completing projects using cutting edge technology, combined with the hard work and care of our skilled craftsman. By working directly with our customers, we produce fine, made-to- fit solutions, with an almost infinite range of design and finish options. 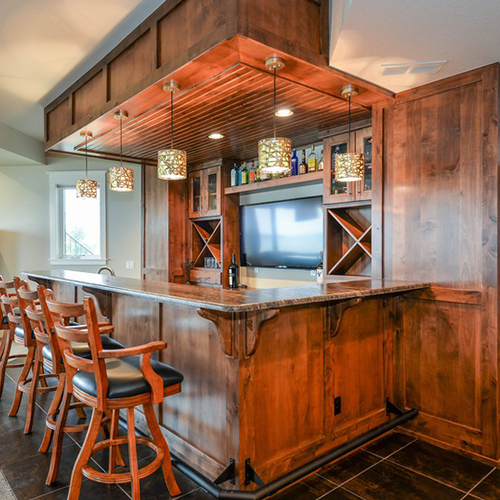 Tharp designs, manufactures, delivers, and installs cabinetry in cities throughout Colorado and Wyoming including Denver, Fort Collins, Colorado Springs, Cheyenne, and the mountain communities of Winter Park, Steamboat Springs, Vail, and Breckenridge. 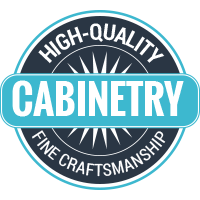 At Tharp Cabinet Company, we have over 40 years of experience in designing, building, and installing custom cabinetry. This has allowed us to refine our techniques ensuring that you’ll receive a high quality product that is custom-fit for your home. Our 10 step process explains the Tharp method from beginning to end and summarizes the responsibilities of each party. Tharp cabinets are manufactured using only the highest quality wood in 11 species. 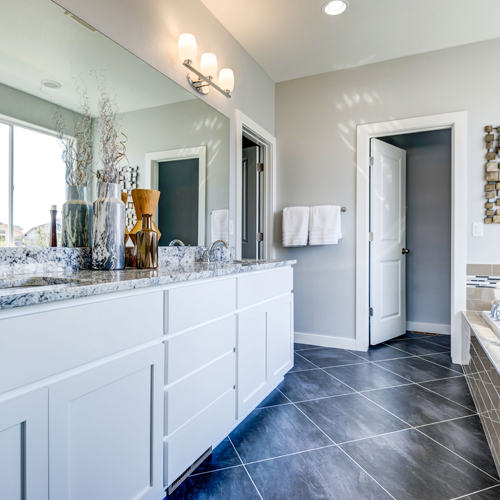 We offer a wide variety of 28 door styles that are available to meet your decor needs, ranging from traditional and rustic to shaker and contemporary. Tharp offers a variety of finishes from a hand rubbed stain to a distressed paint. All Tharp cabinets are built with solid wood frames, doors, hanging rails, and veneer end panels and are assembled with the strongest and most durable methods. 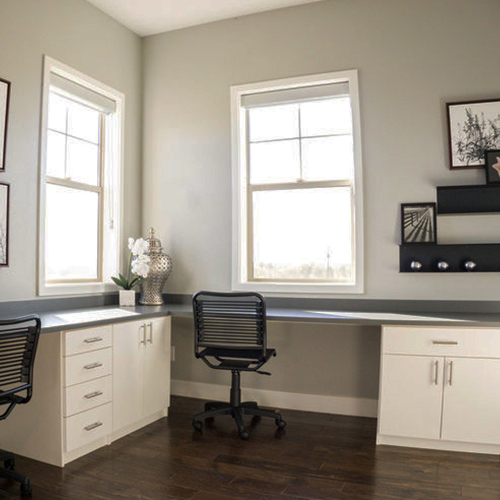 At Tharp’s Loveland showroom, you will be able to view over 4000 square feet of custom cabinets. We have a wide variety of 28 door styles available to meet your decor needs, ranging from traditional and rustic, to modern and contemporary. We have a selection of 11 woods and various hand rubbed stains and painted finishes, all of which are available in samples for you to take home. We have designers available to go over your plans and start the process of getting a Tharp Bid. 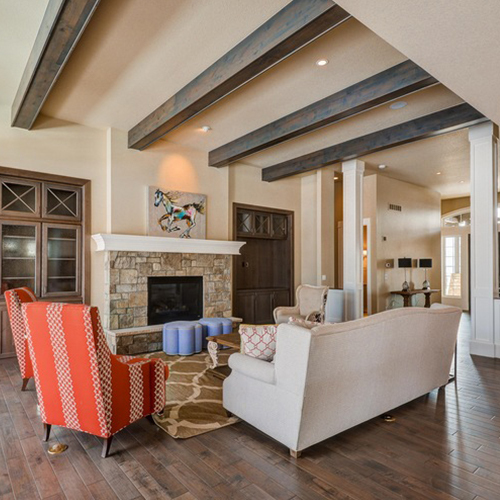 Samples of our woods and finishes are available in our Loveland Showroom. 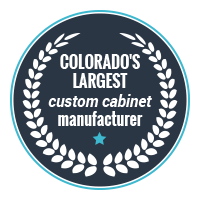 Tharp designs, manufactures, delivers, and installs cabinetry in cities throughout Colorado and Wyoming. 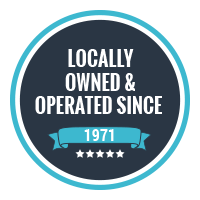 I purchased a newly constructed home in April of 2015 – all cabinets in my new home were manufactured and installed by Tharp Cabinet Company. 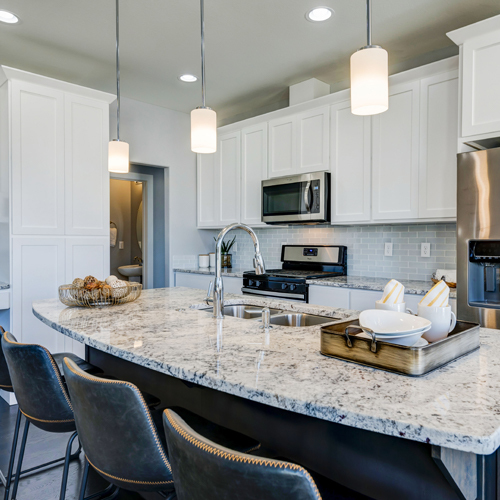 Not only have I been extremely pleased with the quality of the cabinets, but have, since moving into my home, ordered additional cabinets as well as finish molding for the tops of the kitchen cabinets. I have found the folks at Tharp to be professional, pleasant and very helpful to deal with. I was given pricing and construction time information up-front and found the additional dealings to be great. 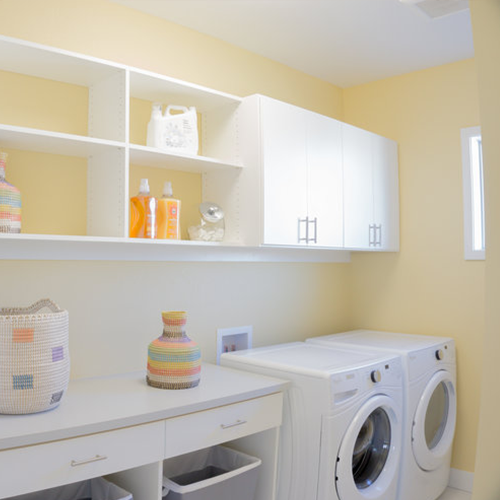 If I were ever to build another home, I would certainly be going back to Tharp for cabinets! 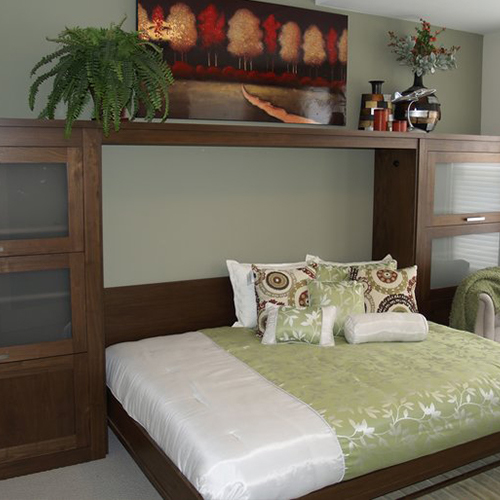 As a homebuilder, I have worked with several cabinet suppliers over the years. Since I started working with Tharp, I won’t use anyone else. Tharp’s cabinets make my product superior to my competitor’s. Their service and value is unmatched. Everyone at Tharp has always been very nice and helpful throughout jobs and after, willing to go the extra limit. Looking forward to doing more jobs with you.